I received this book from #kidlitexchange to read in exchange for an honest review. All opinions are my own. 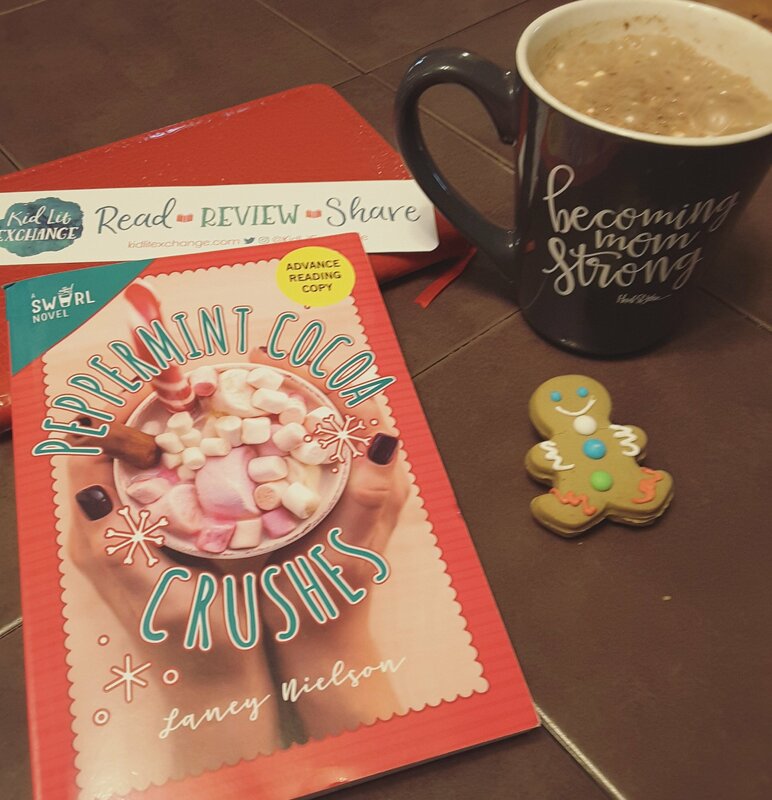 🌟🌟🌟🌟🌟Peppermint Cocoa Crushes by Laney Nielson creates a perfectly complex reality every tween experiences about crushes. Sasha is so excited about the upcoming Holidaze Spectacular competition to be judged by the director of The Summer Academy (High School of Performing Arts). Then Karly tells Sasha she has a crush on an 8th grader named Ahmed and of course as her best friend Sasha must have a crush too. So Sasha decides Kevin is her crush only Kevin is Karly’s twin brother and they have all been best friends forever. As Sasha’s friends begin to leave hints that Peter has a crush on her Sasha is too overwhelmed with a recent family divorce, school, and holidays, she misses all the clues trying to force things with Kevin. In the end Sasha discovers friends will be there exactly when you need them to be and crushes can’t be forced they just happen sometimes it’s something simple like hot cocoa and cookies that makes things just feel right. Review also posted on Instagram @jasonnstacie, Library Thing, Goodreads/StacieBoren, Go Read, and Amazon.